Just to be frank, I’ve had difficulties with Azerite Armor pieces. Figuring out which Azerite power you want for which class and which spec, trying to decide if you should equip a higher ilevel piece over the piece you already have on that has the powers you want (and more importantly, has them unlocked while the upgrade doesn’t), and finding yourself grubbing every last bit of Azerite from every World Quest and Island Expedition just to get your gear to work has all been kind of unpleasant in my opinion. So when WoW Game Director Ion Hazzikostas discussed Azerite Armor in the recent AMA on Reddit, I paid pretty close attention. I’ll be breaking his long post up into sections here to discuss it in depth. We’re certainly not entirely happy with how the system is playing out, and all of these are very valid concerns. We agree that it’s a problem for someone to look at a 30-ilvl upgrade under normal circumstances and feel like it’s not worth equipping. I know this risks sounding like a cop-out, but a few of the problems you’ve outlined simply boil down to tuning. I think part of the problem here is that assumption that everyone will be at Heart Level 18 when they get their first 370 piece. I think instead the first ring of any piece that drops should either require a lower Heart Level (say, 15 or 16) or maybe not be tied to the Heart’s level at all. The need to be at Heart 18 to use the first tier of the 370 shoulders from Doom’s Howl left me faced with a dilemma that was much more than these aren’t the best powers for my spec or class — namely that the 370 shoulders effectively had no powers at all and wouldn’t until I ground out a level and a half on the Heart. Now, I know that’s not a problem for everyone, but it is a problem for people who have less time to sit down and grind AP. I understand that as the expansion progresses we’re going to have better and better Azerite pieces drop and that Blizzard wants AP to stay relevant so you can’t just say eh, I’ve got enough, all my Azerite pieces are unlocked. But making it so that the first tier requires higher investment as the pieces drop might not be the best idea. An upgrade should always, always be an upgrade. Tuning is absolutely an issue, but when your 355 shoulders just destroy a 370 piece, that’s just not good. Add in complications like having to carry around multiple sets of Azerite gear just to perform different roles or specs — or accept greatly increasing gold costs to reforge your Azerite gear just to switch from tank to DPS… The result is a system that is in my opinion pretty complex with a lot of moving parts to keep track of. Tuning can’t fix all of that. I agree that there’s room for improvement on the traits that Azerite gives out. There’s always going to be folks out there simming the best possible pieces of gear and which power does best in which situation, of course. What really concerns me is the complexity of the system, which combines elements of the Legendary drops in Legion and the Artifact traits and Netherlight Crucible in a kind of stew of abilities that I have a hard time grappling with. 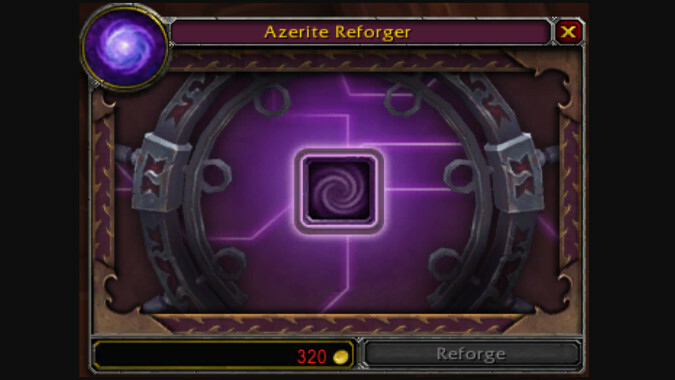 Finding the piece with the best Azerite trait definitely feels like a laborious effort right now and once said piece drops you’re very reluctant to trade off for a higher ilevel drop with less desirable traits. I hope they can get the balance right on this, because it’s what will make or break the system for a lot of us. 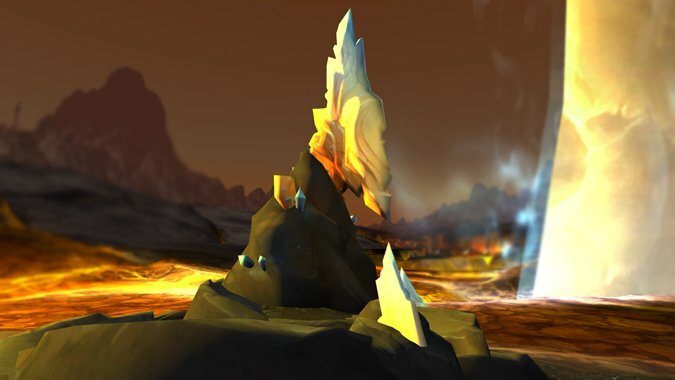 Many design changes to World of Warcraft ever since reforging was removed were in service to the idea that an upgrade should always be an upgrade, but the Azerite system right now tangles up that simple, clear message. This is simultaneously an encouraging answer — in that it shows a real willingness to explore and engage with what players like and dislike about the Azerite Armor as it is currently implemented — and a slightly concerning one — in that it seems to feel that the complexity of the system is an unalloyed good thing. Frankly, I’m not entirely convinced that it is. 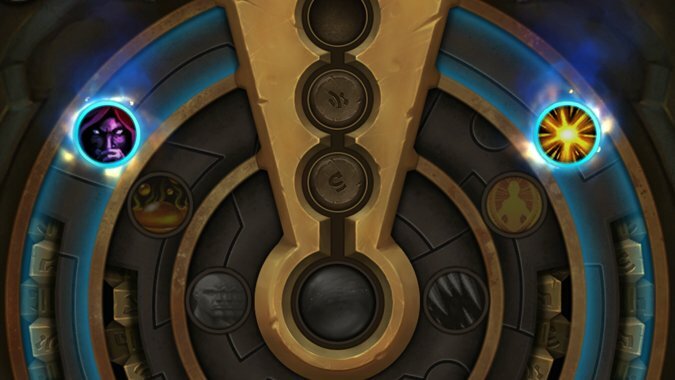 Keeping track of the fully unlocked traits of a host of Azerite Armor to be sure and try for the best pieces for your desired spec and role takes the complexities Legion Legendaries and multiplies their downsides by a factor of ten, at least. I’m not saying that Azerite Armor is bad — I very much enjoy some of the Azerite traits I’ve managed to unlock. But it does require you to invest significant time and effort fully activating your armor. It can also create a hesitation to part with a piece for a ilevel upgrade when it doesn’t seem like it actually is an upgrade. 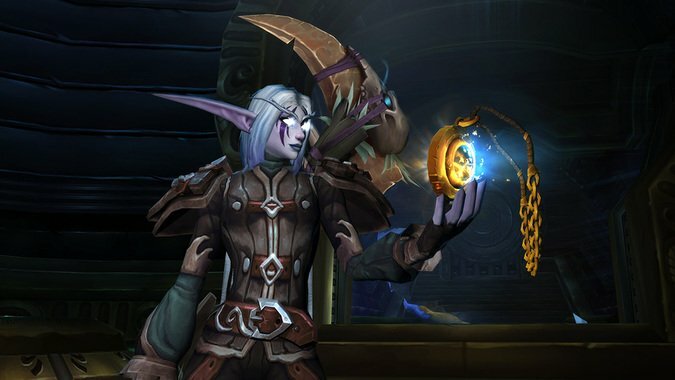 In an expansion where people are by and large adjusting to the new GCD rules and trying to stack stats like Haste, taking stats off of three of our armor pieces in exchange for Azerite Armor traits means that those traits have to be spot on or players feel like the work they have to put in to fully realize those Azerite pieces is kind of wasted. But I do like the idea of deeper interaction between an Azerite Armor piece and your class and spec, of them hearkening back to Legion legendaries in that they can potentially alter your spec or playstyle in new and interesting ways. Tuning changes went live with today’s maintenance, so here’s hoping it can and does improve the system.